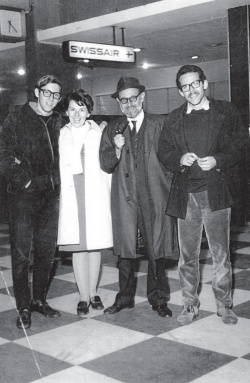 Edith and Vilém Flusser with their sons Victor and Mischa, São Paulo, airport, 1969 or 1970. 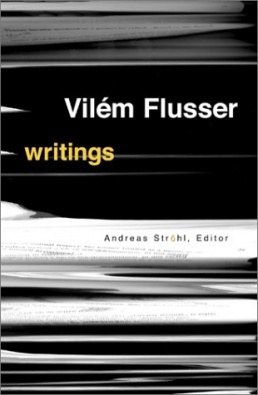 Vilém Flusser (1920–91) was a media philosopher and writer born in Prague. He held Brazilian citizenship and wrote most of his work in German and Brazilian Portuguese. Flusser's work notably elaborates a theory of communication, theorising the epochal shift from what he termed "linear thinking" (based on writing) toward a new form of multidimensional, visual thinking embodied by digital culture. For him, these new modes and technologies of communication make possible a society (the "telematic" society) in which dialogue between people becomes the supreme value. Flusser draws from Martin Buber, Edmund Husserl, Martin Heidegger and Thomas Kuhn, among others. Natural:mente: vários acessos ao significado da natureza, 1979. ARG (PT). 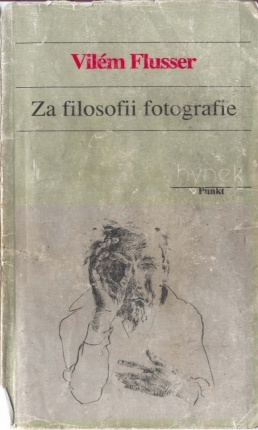 Towards A Philosophy of Photography, 1983–. Log (DE, EN, PT, ES, HU, CZ, RU). Into the Universe of Technical Images, 1985–. Log (DE, HU, CZ, EN). 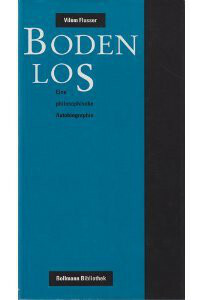 Bodenlos: Eine philosophische Autobiographie, 1992. Log (DE). Gesten. Versuch einer Phänomenologie, 1991–. 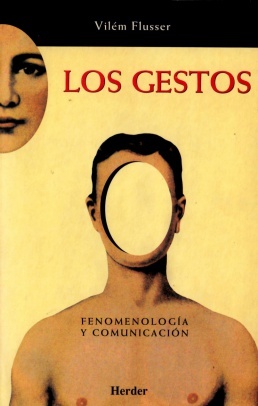 PDF (DE, ES). 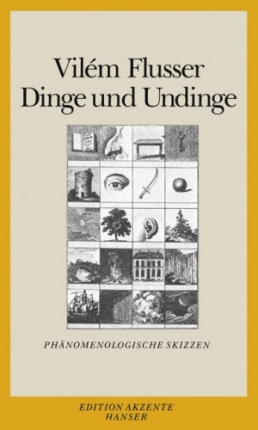 Dinge und Undinge: phänomenologische Skizzen, 1993–. PDF (DE), HTML (HU). 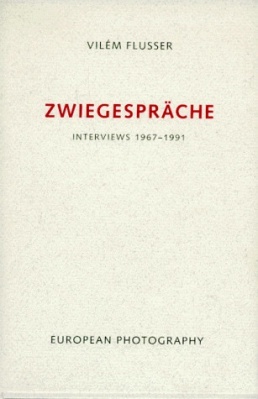 Zwiegespräche: Interviews 1967-1991, 1996. Log (DE). "The Crisis of Linearity", trans. Adelheid Mers, Boot Print 1:1 (2006), pp 19-21. Gesten. Versuch einer Phänomenologie, Bensheim and Düsseldorf: Bollmann, 1991, 274 pp; Frankfurt am Main: Fischer Taschenbuch, 1994, 239 pp. Flusser’s View on Art: MECAD Online Seminar, Barcelona: MECAD, 2004. Schlagworte—Schlagbilder. Ein Gespräch mit Vilém Flusser, Cologne: WDR, 1986, 13 min. Video documentation by Harun Farocki. Die Informationsgesellschaft: Phantom oder Realität?, eds. Thomas Knöfel and Klaus Sander, Cologne: supposé, 1991, 45 min. An audio CD documentation of Flusser’s lecture at the conference CULTEC–Culture and Technology in the Twenty-first Century in Essen on 23 November. Vilém Flussers Fluß, Cologne: 235 Media, 1994, 45 min. A video documentation shot in August 1991 by Michael Bielicky. Heimat und Heimatlosigkeit, Cologne: supposé, 1999. Audio CD. We Shall Survive in the Memories of Others, eds. C3 Budapest and Vilém-Flusser-Archiv Berlin, 2010, 87 min. 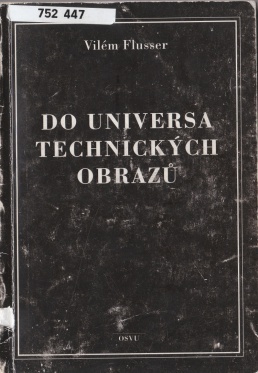 DVD in 7 languages, video recordings of lectures and interviews from 1988-1991, with a booklet in English. Watch online (all four videos). TOC. Overview of the collection of the Vilém Flusser Archive. Dietmar Kamper, First International Flusser Lecture. Körper-Abstraktionen. Das anthropologische Viereck von Raum, Fläche, Linie und Punkt, 2000. Timothy Druckrey, Second International Flusser Lecture. Medien, Gedächtnis, Moderne, 2001. Thomas Karlsohn, Passage mellan medier: Vilém Flusser, datorn och skriften, Göteborg: Folkuniversitetets Akademiska Press, 2006, 426 pp. (Swedish)  Review, Review. 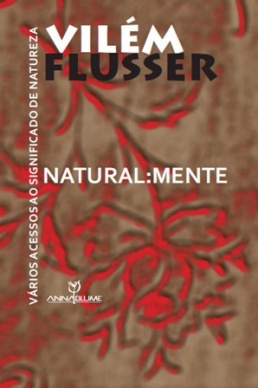 Vilém Flusser: An Introduction, University of Minnesota Press, 2011, 200 pp. Martha Schwendener, The Photographic Universe: Vilém Flusser’s Theories of Photography, Media, and Digital Culture, New York: Graduate Center of City University of New York, 2016, 365 pp. PhD Dissertation. Transcoding Flusser: Synthetic Thinking (The Hague, 2016). Video recordings. Review: Maruyama (Metropolis M). Without Firm Ground: Vilém Flusser and the Arts, exhibition, West, The Hague, 19 Mar-7 May 2016. Bodenlos: Vilém Flusser and the Arts, exhibition, GAMU, Prague, 5 Apr-7 May 2017. This page was last modified on 21 March 2019, at 09:35. This page has been accessed 70,245 times.